On a single day last week the following two things appeared in my Facebook news feed. I don't know about you, but my doctor doesn't seem to be taking time out to attend courses on how to bring in lots more patients and keep them for life. The vet where I take my dog doesn't have a plan that requires Cody to come in weekly for "maintenance". I've moved house recently so I don't know if my new doctor will remind me every six months that I'm due for my regular diabetes checkup and pathology tests, but I do know that if he orders too many tests or wants them too often he will have the regulators paying him some attention. 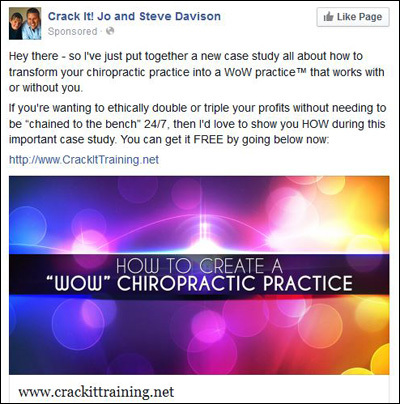 People keep confusing chiropractors with health professionals. They are certainly professionals, but the billing and the visits and the customer acquisition and retention seminars and training are all about money and nothing to do with health. Casinos like you to come in regularly too and almost certainly have marketing plans to attract new customers, but at least you can sometimes leave a betting shop with a benefit in your wallet. 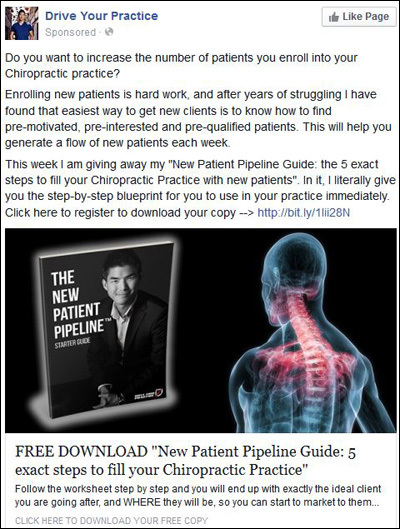 It might be rare, but it's a lot more likely than it will happen at a chiropractor's office.